29th September 2018, Kuala Lumpur – Close to 18 social media influencers turned up on a bright, sunny morning to be a part of the global World Rivers Day celebration and rolled their sleeves up to volunteer for the River of Life Log Boom Clean-Up day. 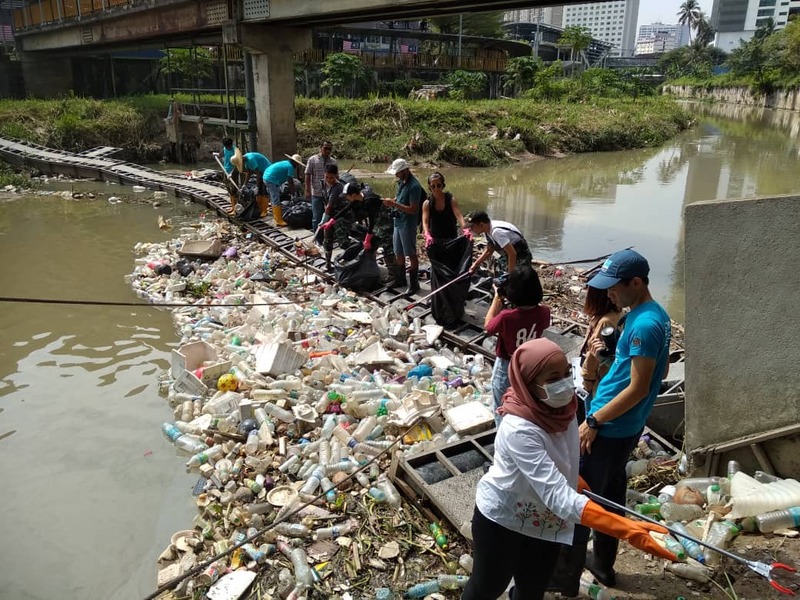 The clean-up was held along a specific stretch of Gombak River whereby the main activity was to educate and share knowledge with the social media influencers on the plight of the city rivers such as the Klang River. Apart from collecting floating organic and solid waste and debris found in the boom trap, the social media influencers were also required to sort out the collected debris through a segregation process to understand the composition of the kind of wastes that are often dumped into rivers. “We often pass by rivers, not taking a second to look because rivers today have changed a lot. What was once pristine and clear, is now severely polluted, and often it’s because of human impacts. We hope that this activity will stir the social media influencers to look at the circle of life and we hope that this experience will be shared through their blogs and stories and raise more consciousness about better river care in the country,’’ said Yasmin Rasyid, President of EcoKnights, a local non-profit environmental organization which organized the event. Apart from EcoKnights, this event also saw the partnership and participation from the Kuala Lumpur City Council (DBKL) and the Department of Irrigation and Drainage (DID). The clean-up and log boom waste segregation exercise saw the social media influencers collecting up to 87.8 kilograms of trash in the river, where 65% of the trash was mostly organic waste, while the rest (30kg) were plastic, polystyrene, paper, clothes, glass, and metal. All of this waste was collected from the first hour of the exercise.